Bullfighting, or corrida as the sport is called in Spain and the south of France, is a tradition that should be abolished. 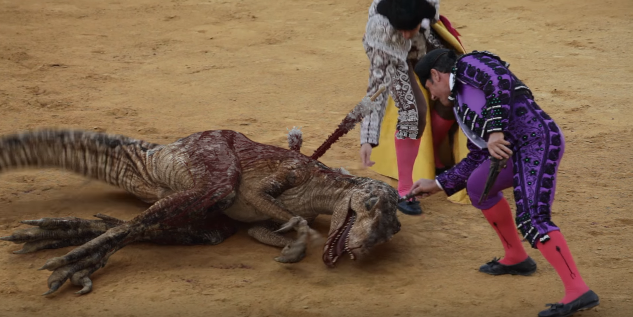 This is the message conveyed by the latest production from BETC Paris for FLAC (Federation of Leagues Against Corridas) in which a dinosaur takes the place of a bull in an arena to highlight just how cruel this kind of entertainment really is. Film: Do you think this practice belongs to another age ?